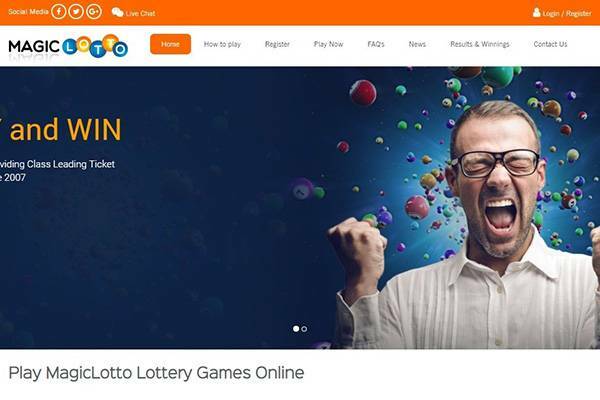 agicLotto is a lottery platform that makes it easy for layers to pick online lotteries from various lotteries, both home and abroad y sifting through to avoid any fraudulent or fishy lotteries, customers and players can rest assured of their safety and can focus on playing and earning money. One of the major selling points of MagicLotto is the seamless operation that you get. 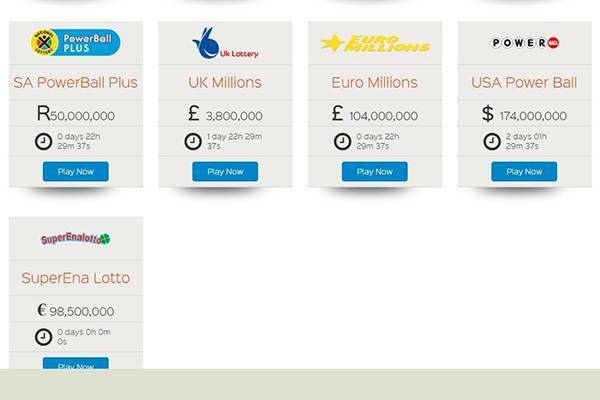 While a lot of lottery platforms tend to dally with stuff like payouts, withdrawals, etc., the experience that you’ll get with the MagicLotto platform is seamless and very smooth. MagicLotto was established in 2007, and they have been providing proper and effective lottery services since then. As long as you’re 18 and above, you’re free to participate in the MagicLotto. There are no special criteria, and everyone receives a level playing field. The fact that you have to open two accounts to play is definitely a disadvantage, especially considering the fact that a lot of people might not have enough money to fund the Pound-based account (or even the interest and willingness to play any overseas lotteries). You get price charges on withdrawing your winnings as well as charges on account management. Another major disadvantage of the MagicLotto website is the fact that not a lot of information is let out. For instance, while they will charge you for collecting your winnings, there is no aspect of the website that says they actually do. Charge, but at least let people know you are. 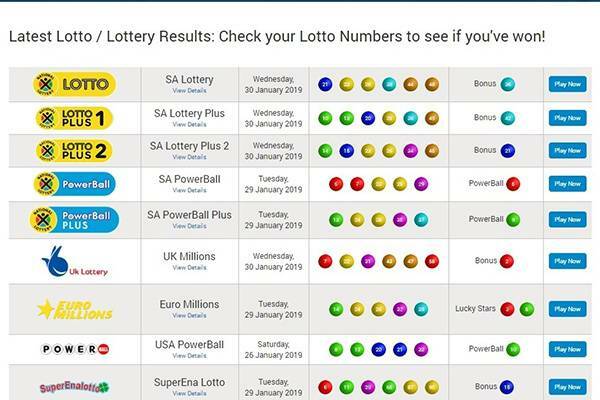 Currently, eight lotteries are offered in Magic Lotto. 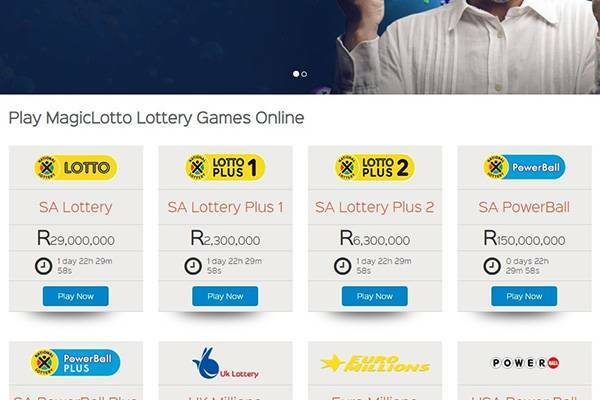 The games have been divided into South Africa-based lotteries and the others are based abroad. The ones based in South Africa are SA Lottery, SA Lotto, SA Powerball, SA Powerball Pus. Others are US Powerball, SuperEnalotto, UK Lottery, and EuroJackpot. The site doesn’t provide any information about whether they offer any syndicates. However, when you check the top of the Terms and Conditions page, it is stated that MagicLotto has been appointed by the layer in order to act in the capacity of an agent and to also provide insttructions to a syndicate manager who will on behalf of the player. You might have to register to get the full information, but at first glance, it does look as though they allow syndicates and make them available. 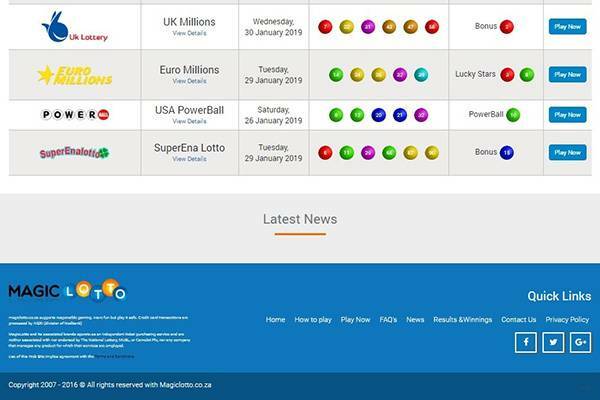 There is no mobile platform for MagicLotto, and this serves as a major impediment to the offering of their services. All transactions are to be done online, whether through your mobile browser or on a computer. There are no discernible promotions being run on the MagicLotto website. The funds that are acquired by Magic Lotto are kept in two completely separate accounts, both of which are based in different currencies. The first account is in Rand (the South African Currency), and the second is in Pound Sterling. The idea is for the account in Rand to be used for games in South Africa, while the other can be used for games overseas (seeing that the Pound is more accepted globally than the Rand). If you’re looking to make your withdrawal, the process is also pretty easy. As soon as you can confirm that your entry actually won, your account balance will be credited with the specific amount and when you claim your winnings, you have the freedom to choose what you’ll do with your earnings. You can check the “Account” menu to see if there have been any changes to your account. If your winnings are above £200, you’ll be contacted directly by phone. If it isn’t, then they’ll send you an email. Your winnings will be collected for you, and payments will be made within 10 days of your request for your money (if you make a request, that is). The transfer costs of getting anything under £200 are £15 (through wire transfer) or £9 (over two weeks). The MagicLotto website has a functional FAQs page. It covers a wide array of information, including how to play, information on payment, how to know you get a spam message, etc. 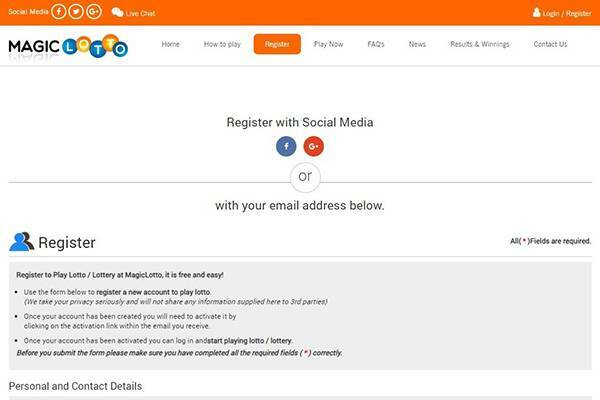 There is a Contact Us page on the MagicLotto website and from there, you can send a message to their organization with the use of the contact form. There are also other channels listed where you can get in touch with them. Few more options is sending an email to customer support, live chat or, oddly enough, fax. Is Magic Lotto legit or fraud? As far as their legitimacy goes, MagicLotto doesn’t give any reason to make you believe otherwise. Its security is certified by Google Safebrowsing, Norton Safeweb, and a strong web antivirus is also installed to ensure your safety. MagicLotto is a certified lottery company and over the course of their operation, they’ve had a slew of positive feedback. This isn’t to mean that there haven’t been negative reviews as well, though. To be fair, MagicLotto does its best. However, when you take a look at the details, you’ve got to admit the fact that their cons slightly outweigh their pros. There are a lot of issues about what the site does and what they say they do. Contradictions here, contradictions there. The result is that a lot of people end up registering and funding their accounts without clearly understanding what they’re really getting themselves into.